Luis Suarez expects Steven Gerrard to be able to transfer the multitude of leadership skills he displayed as a captain over to his new career as a manager. Gerrard will begin his coaching journey in earnest on Friday, when his Liverpool U18s side travel to St George’s Park to take on their counterparts from Burton Albion in their first pre-season friendly. Few Reds fans will need reminding that the legendary former midfielder skippered his boyhood club for 12 years before leaving in the summer of 2015 to close out his days as a player with LA Galaxy. As such, Suarez spent the entirety of his own Anfield career, which ran from January 2011 to July 2014, under Gerrard’s captaincy - and the Barcelona striker feels the human and footballing qualities his ex-teammate possesses will stand him in good stead in management. “I don’t think he would have a problem [as a coach],” says Suarez, who features in the latest episode of LFCTV’s series ‘What LFC Means To Me’, which you can watch for free below. “But I reckon that in that game when he just came back [in the Liverpool Legends’ match against Real Madrid in March], he showed that he still had the quality to keep playing, even at Liverpool! That’s because he’s a player who still can make the difference. “Gerrard has gone down in history at Liverpool for the love he has always shown for the team and for the city. He’s never wanted to move anywhere else, and he’s a real example, a role model on the world stage. “Also for the things he taught me as a teammate, for many different things really. If at some moment I’d react angrily at having had a bad game or after a defeat, he’d come over and have a quiet word, he’d back you and always give you sound advice. 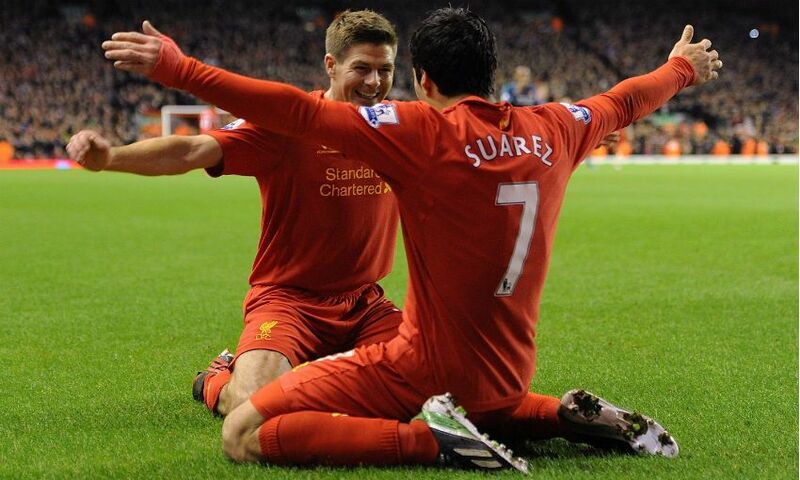 Suarez forged a lasting friendship with Gerrard during his three-and-a-half years on Merseyside, and the Uruguayan acknowledged the impact the 37-year-old has had on him personally, as well as professionally. “Yes, because of how he was as a person,” he replies, when asked if Gerrard influenced him as a man. “The way he dealt with things, difficult situations, how he was with his teammates and the club.